Richland County, WI was established in 1842, and now has an estimated population of 18,052. 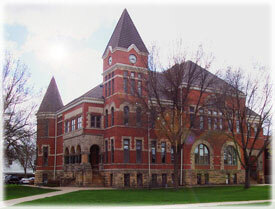 The county seat is located in Richland Center. The county is divided into 21 supervisory districts, and each district has a representative on the Board of Supervisors. The Richland County Official Directory is now available online. The county's municipalities consist of 16 towns, 5 villages, and 1 city. Health & Human Services is providing public access computers to assist the community. Please email them to the site's Webmaster, or call 608-647-8821.